The Elk Grove Police Department has confirmed tomorrow's Veterans Day Parade has been canceled because of poor air quality from the Camp Fire raging in Butte County. 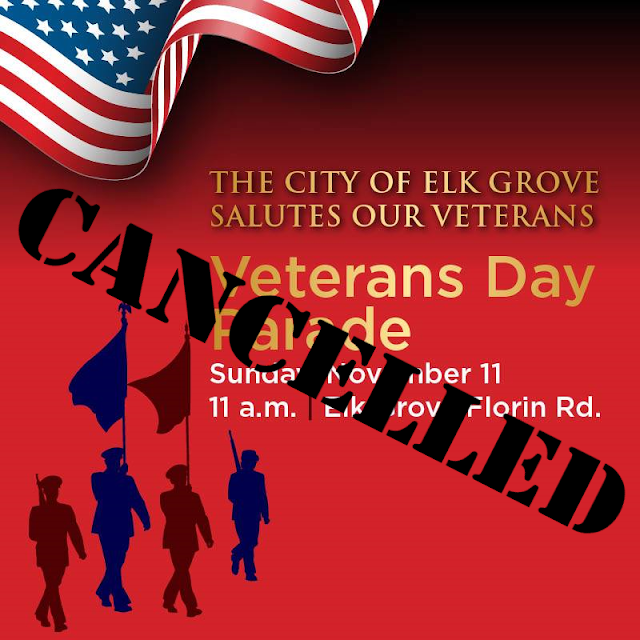 "The Elk Grove Veterans committee and the City of Elk Grove have cancelled the parade due to the bad air quality," Sophia Scherman, parade organizer said on behalf of the committee and the City of Elk Grove. Although the parade will probably not be immediately rescheduled, Scherman said organizers are exploring ways to honor Veterans.